Summer Picnics on the Promenade are back and they are bigger, better and bouncier than ever! 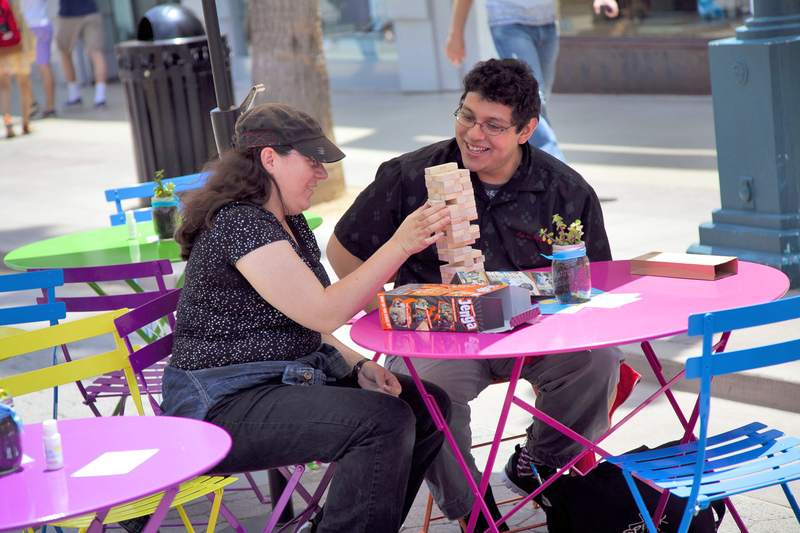 In fact, every day is a picnic on Third Street Promenade. We'll have our colorful tables, chairs and umbrellas out Monday through Friday, and on Friday afternoons we'll also have big lawn games and ping-pong tables. If ping pong excites you, make sure to come hang on the north block of the promenade on Wednesday nights when we'll have tables available for play as well as guidance from the paddle masters from PongFit who are "Making America Play Again" from 6pm to 8pm. We'll also be hosting live musical performances featuring some of the promenade's best street performers on Fridays from 6pm to 8pm.